There's no-one that loves the sun as much as I do, (except my housemate Gabi, we are two sun-loving soul sisters, that's for sure). 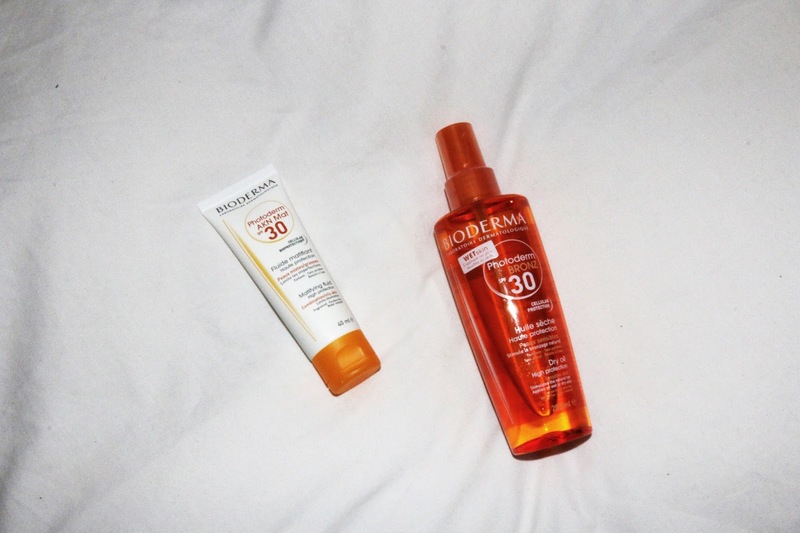 So, with being tanned as high up on the priority list as, well, eat, I was more than happy to sample some awesome products from Bioderma. 2017 has already taken me to Thailand and New Zealand, with Portugal, Oz and Bali on the cards for later on in the year, with all these sun-worshipping opportunities, safe-sunning is pretty imperative. This week is Sun Awareness week, and getting burnt is still something us Brits always seem to manage (except me, I LAYER on the sun lotion - makes your tan last longer don't you know!) and as we enter what hopefully will be a warm summer it's time to think about investing in some good skincare to prevent burns and in the long term, wrinkles! Bioderma revolves around healthy skin, it knows that our skin is subject to change, whether it's environmental, or the stresses of our daily life and routine, therefore it's a brand that actually understands our skin and what it needs. 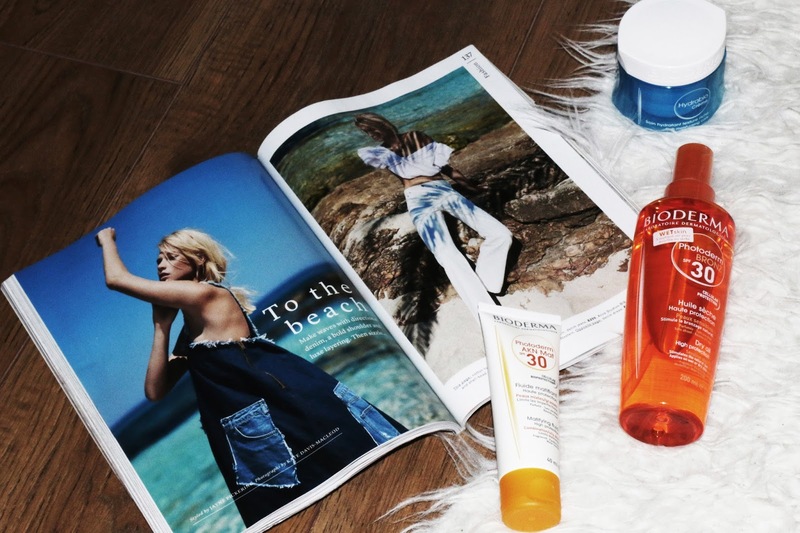 So their suncare selection is pretty darn good. I have been using the Photoderm fluid on my face daily since I received it, I tend to not bother too much with make-up in the week, meaning I don't have a foundation with an SPF in to protect my skin from the London rays, so it's a great way to still stay protected. 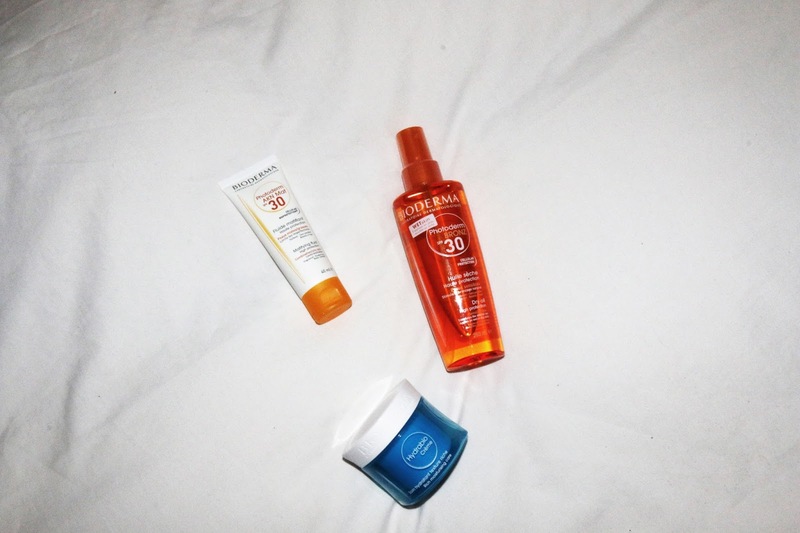 If you're going on holiday this year then I can't recommend the range enough, also, not forgetting the luxurious Hydrabio face cream, this is a dream to lather all over your face as a night cream; rich, creamy and hydrating - it's totally worth investing in. A fresh light fragrance, so creamy and rich to apply, never leaving your skin feeling dry. An excellent after-tanning product, however, I love wearing it as part of my night-time routine. Smells lovely, and can be used on wet skin, however, I used it on dry skin when I was sunbathing during the hot weekend London was blessed with a few weeks back. It's alcohol-free and not greasy at all! Mildly scented and paraben-free, such a great cream for daily use and will definitely be a summer holiday saviour! Very interesting tips for summer! Thank you shared dear!